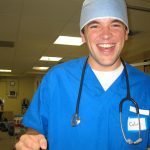 A complete list of Electives/Clinical Rotations are posted in the Student Opportunities Database via the Tufts University Sciences Knowledgebase (TUSK) (assessable only by current students with Tufts login credentials). 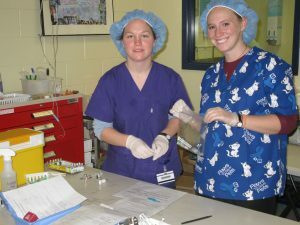 The mission of the Luke and Lily Lerner Spay/Neuter Clinic (LSNC) is to instruct veterinary students in the best practices of small-animal sterilization surgeries, to provide free or low-cost services to pets in need from the surrounding community and to provide the surgical training component for the Tufts Shelter Medicine Program. 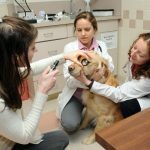 The first and one of the only veterinary teaching clinics of its type in the country, Tufts at Tech provides citizens in need throughout Greater Worcester with compassionate and affordable veterinary care. The ARL is a progressive animal welfare organization dedicated to rescuing domesticated animals and wildlife from suffering, cruelty, abandonment and neglect. 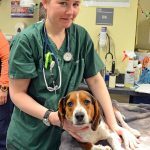 As the only animal welfare organization in MA that has an emergency rescue services team dedicated to assisting domestic animals and wildlife in distress, their law enforcement team serves as an additional resource to local authorities dealing with cruelty and neglect cases and issues. 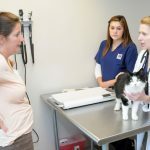 The ARL offers high quality, affordable spay and neuter services on the South Shore and Cape Cod. 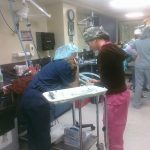 Students on the rotation rotate through a variety of clinical experiences. 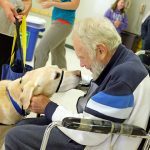 As the second oldest humane society in the United States, the mission of the MSPCA-Angell is to protect animals, relieve their suffering, advance their health and welfare, prevent cruelty, and work for a just and compassionate society. 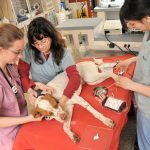 Angell Animal Medical Center is their nonprofit veterinary hospital. 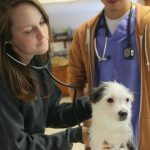 Students may spend time with the shelter veterinarians observing patient rounds and helping to create care plans.